Are You Going To Help Or Hinder Someone’s Future? The wild success Lucy Hobbs Taylor had as a dentist in Kansas, Missouri, undoubtedly occurred because of her ability to teach. During a time period when women were not dentists, she trailblazed her way through Ohio, Iowa, Illinois, and then finally Kansas. But, where did she get her spark? Michigan. In the small, little town of Brooklyn, Michigan, now known for Nascar Racing at Michigan International Speedway, Lucy Hobbs taught school for ten years and acquired a mentor that changed her life. According to records at the Syndecuse Museum in Ann Arbor, Michigan, Lucy Hobbs boarded with a physician. Because of her interest in medicine, he encouraged her to apply to medical school in Cincinnati, Ohio. The Eclectic College of Medicine denied her entrance as did the Ohio College of Dentistry when she opted for an alternative to medical college. Both denials were based on her gender. Fortunately, another mentor lit the way for Lucy’s destiny to become a dentist: Dr. Samuel Wardle. He agreed to take Lucy on as an apprentice and encouraged her to open her own practice. After moving to Iowa and practicing for several years, Lucy became a member of the Iowa Dental Society. Members there pressured the Ohio College of Dentistry to admit Lucy into dental school. Because of this pressure, she was admitted to the dental school. With extensive training already acquired, she only needed to complete one year of studies before claiming the prestigious title of Dr. Lucy Hobbs, first American female dentist. As I discovered this arduous path made by a determined woman, I felt both angst and admiration for the men who hindered and helped Lucy Hobbs along her way. On one hand, I related to her frustration likely felt when denied entrance into her chosen field of study–solely based on her gender. She was not given a chance. She was never able to demonstrate her abilities; She did not even get to open the door, let alone have a seat at the medical or dental table. But, on the other hand, my faith became restored as others reached out to her and helped her pursue her passion. In dentistry and in life, we have many opportunities–many crossroads–where we have the opportunity to help or hinder another person’s future. 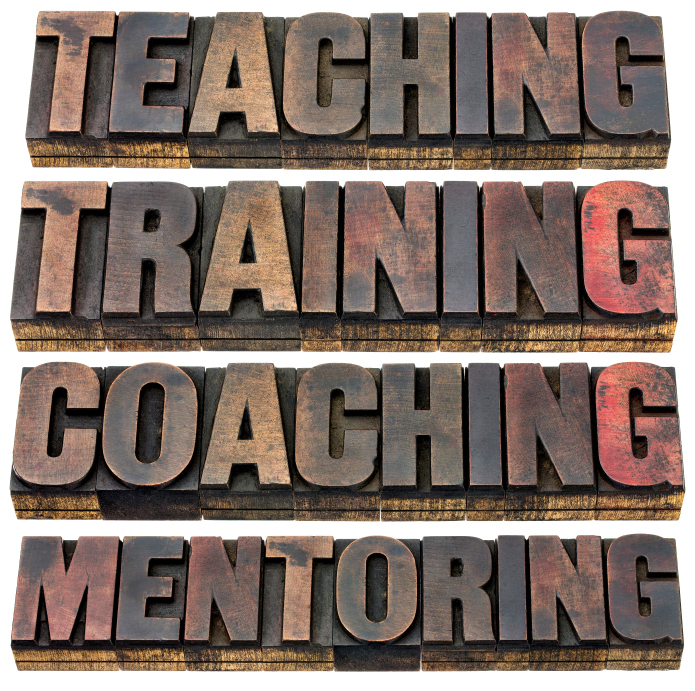 When I started out as a dentist, I had no idea I had signed up for Mentoring 101 or Family Resolution 110. Furthermore, I had no idea that I would be the teacher of these classes. Our team members grant us the opportunity to not only share our dental knowledge, but also share our life knowledge. How we decide to share our knowledge significantly impacts our success in practice. Although not always, many dental team members come to our practices with unclear futures. They “think” they like dentistry, and they know they like to work with people and with their hands. Besides that, their life experience is sometimes quite narrow. For my team members, many had never flown before or gone on a team retreat. Certainly these are not end-all measurements of life experiences, but it is easy to forget how much life experience we have and how many opportunities we have enjoyed from the time we graduated from high school to the time we became dentists. For most of us, that was six to eight years of maturing and finding ourselves. That was six to eight years of making mistakes and learning how to fix them. It was six to eight years to experience good and bad relationships with others and six to eight years to lead others in groups, associations, and teams. Some team members (and patients) lack these maturation opportunities when they come to our practices. Therefore, we have a choice: we can hinder their development or we can help their development. We hinder their development when we offer them no feedback or offer no continuing education courses. We help their development when we take time for feedback opportunities, such as reviews and in promptu discussions following difficult procedures. We help when we listen to their suggestions and incorporate their great ideas. For this type of relationship to develop with our team members and with our patients, we must be mature ourselves. We must recognize our maturation shortcomings and work to develop those areas. Just because we had six to eight years to mature, does not guarantee that we did. When we do not take time to develop ourselves–beyond clinical dentistry–we hinder the progress of others because team members expect us to lead the team. They expect us to have learned how to do this while in college. It seems intuitive that anyone with a doctorate degree and who studied as long as we did, should know how to lead a business and be a good boss. Although this seems to make sense, and I used to think this as well, it is wrong. Most of us did not get that kind of training. We have choices just like the professionals did when Lucy Hobbs wanted to be a dentist. Some chose to deny her the ability to be who she wanted to be; they hindered her. Some chose to foster her desires; they helped her. The hinderers let fears and power take precedence over someone’s desire to light the world on fire. Our team members, as well as patients, need us to get proper leadership training–first for our development, and then, ultimately, for theirs as we pass on the knowledge we learn…just as any good teacher would do. When we do this, we can be teachers as well as dentists like Lucy Hobbs. All of the knowledge in the world does us no good if we cannot impart it properly to others. Teaching is a core skill we must master as a dentist if we want to succeed. Lucy Hobbs, you were way ahead of your times! Dr. Knowles offers private lessons to dentists and their teams. She demonstrates how to become a teacher while also delivering amazing dentistry. Review her website at IntentionalDental.com for speaking and coaching information. In September, Dr. Knowles will be speaking about the Lucy Hobbs Project, a Benco Dental initiative, created to help foster the collaboration of women in dentistry.